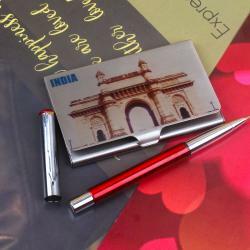 Product Consists : Hawa Mahal Print Steel Business Card Holder along with Golden and Maroon Pen. 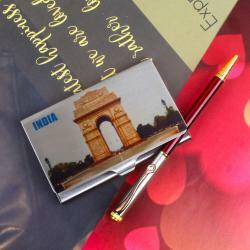 Giftacrossindia gives you a Classy and Stylish pocket sized business card holder. Now you can carry all your cards - debit, credit, pan, ID and also business cards neatly in this sophisticated, useful and convenient card holder. Featuring a serene and divine appeal, this intelligently designed decor piece has been crafted in a manner to ensure that its brushed appearance and polished texture adds a decorative element to your interiors. 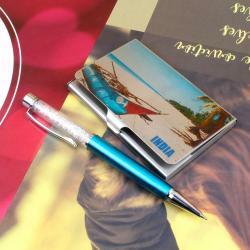 Keep your cards clean, undamaged and fit complement your active lifestyle with an ultra-slim, sleek design. 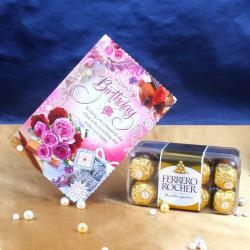 The card holder gift combo works great as gift set, , birthday gift, anniversary gift, gift for him, gift for her, student gift, inauguration gift, card case, designer card holder, corporate gift, office gift, quote gift, gift for husband, gift for wife, gift for father, gift for brother, gift for sister, quote card holder and many more. 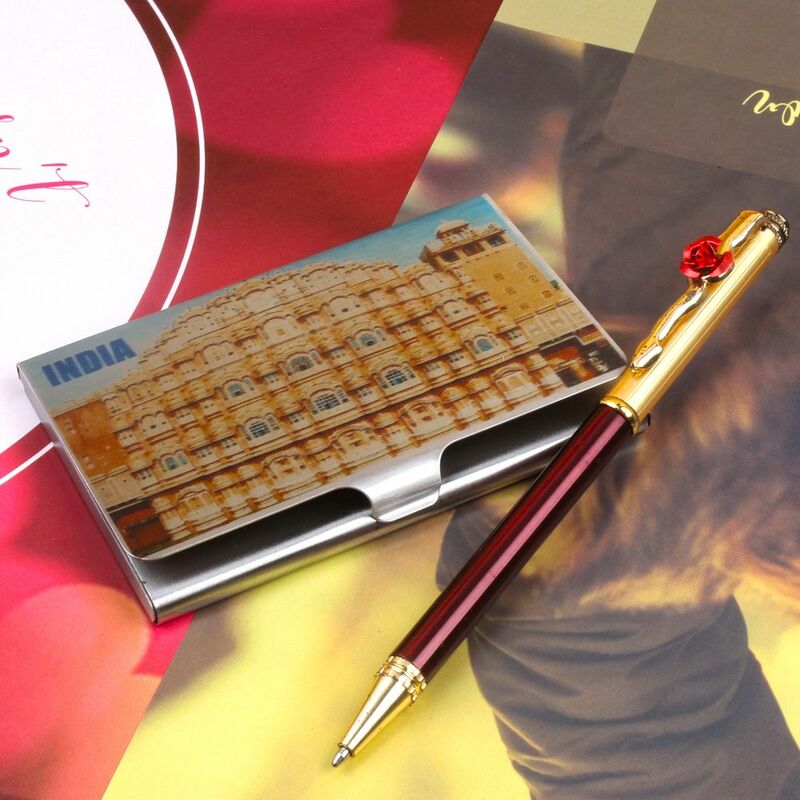 Product Consists : Hawa Mahal Print Steel Business Card Holder along with Golden and Maroon Pen.